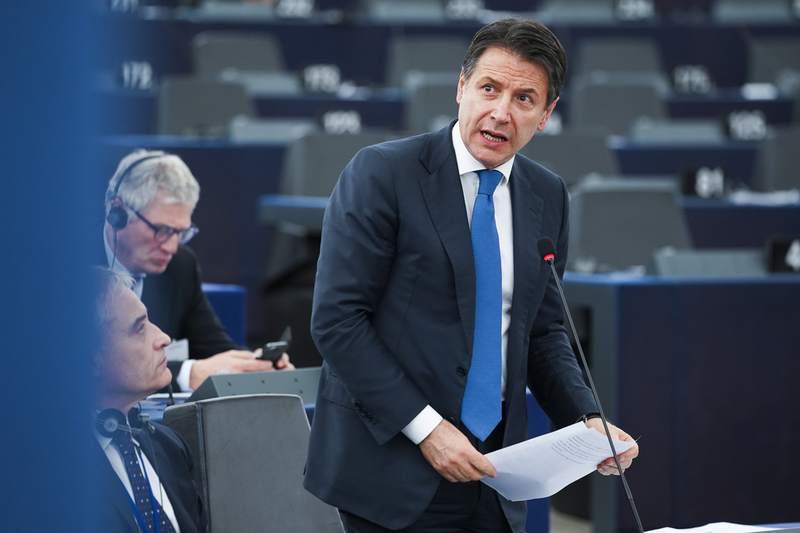 Italy's new government has behaved in "idiotic" and "ugly" ways, MEPs told Italy's prime minister, Giuseppe Conte, in Strasbourg on Tuesday (12 February), with Guy Verhofstadt even branding the Italian premier a "puppet". The debate was part of a series on "the future of Europe" with EU leaders in the European Parliament (EP). 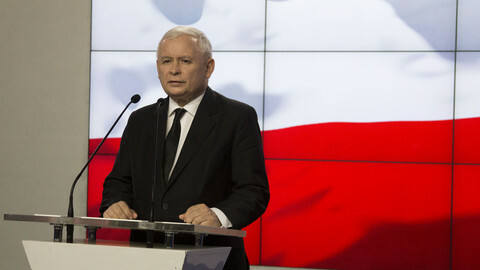 The Polish prime minister also got a hard time last July, amid threats of EU sanctions on Poland for abuse of rule of law. But Conte's mauling was more aggressive, with Guy Verhofstadt, the leader of the liberal group in the EP, leading the attack. Speaking in Italian, the Belgian MEP said he "loved" Italy, one of the EU's founding countries. But he accused Conte's government of "idiotic abuse of office" over its recent involvement in France's violent 'yellow vest' protests, when one of Italy's deputy prime ministers met protest chiefs. Italy's recent veto of an EU statement on Venezuela was also "absurd" and was based on "orders from the Kremlin", Verhofstadt said, referring to Rome's close ties with Moscow. The EU, last week, tried but failed to voice joint backing for Juan Guaido to become interim leader of Venezuela, replacing Nicolas Maduro, its pro-Russian president, after months of civil unrest. "Italy ... sometimes behaves in an anti-European way, openly spiteful against other member states," Verhofstadt said. Udo Bullmann, the German leader of the centre-left EP group, rounded on Italy's refusal to let rescued migrants seek care at its ports. Italy's anti-migrant policy was "the ugly face of inhumanity", Bullmann said. "After 70 years of living together without conflict, making the relations between our two countries tense is a major diplomatic error," Renaud Muselier, a French centre-right MEP, added on Italy's yellow vest "interference". 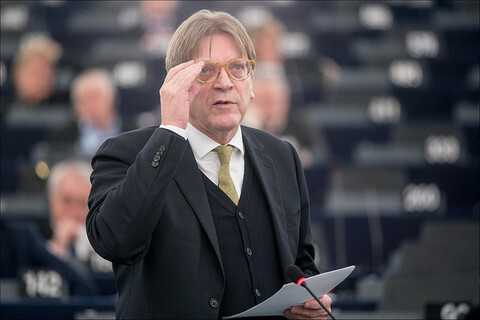 Verhofstadt, a former Belgian prime minister, also belittled Conte, an academic who was hoisted to office last June by Italy's ruling parties, the far-right League of Matteo Salvini and the populist 5 Star Movement (5MS) of Luigi Di Maio. "How long will you continue to be the puppet on Salvini and Di Maio's strings? ", Verhofstadt said. "We have to be careful about the words we use. I'm not a puppet. I'm very pleased to represent my people," Conte replied. 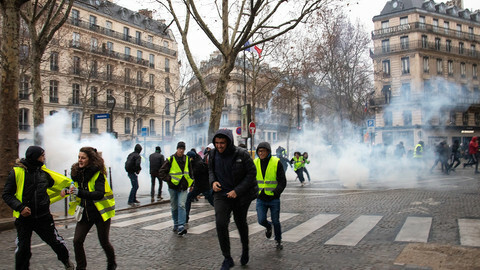 "We shouldn't oppose change with sterile and damaging conservatism," he added on France's yellow vest riots. Italy was a victim of "shameful" claims about migrants "that we are letting children die in the sea - that's simply not true," he also said. 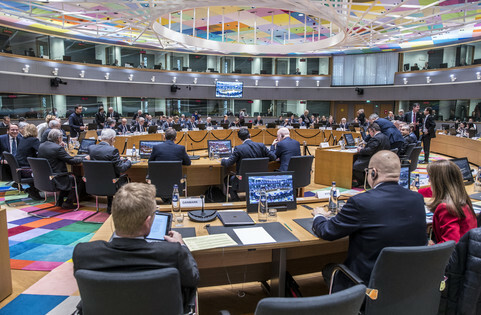 The prickly exchange came after Conte's speech, in which he had curried favour with MEPs by saying that Italy backed EU integration and that the EP should have wider powers. He also defended the yellow vest-type views despite his mild tone, however. 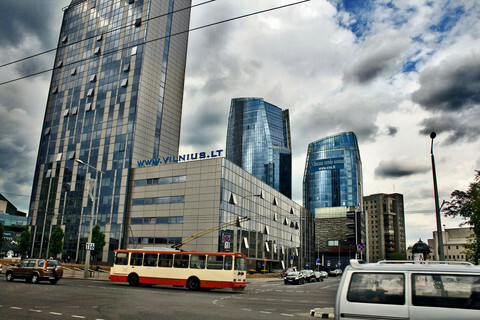 EU "elites" had ignored popular anger on financial inequality in Europe, he said. "The powerful opposition that the European people ... is demonstrating in the face of the elites speaks to our consciences," he added. The "process of detachment between rulers and the ruled" could "lead to the European project imploding", he warned. Conte also defended Italy's Venezuela veto and called for closer Russia relations. 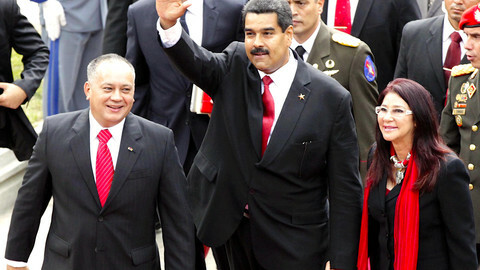 "We do not believe other countries can intervene in those [Venezuelan] elections," he said. The EU should end its "isolationist" treatment of Russian leader Vladimir Putin, he added, referring to sanctions on Russia over its invasion of Ukraine. The EU also ought to show "solidarity" by taking in the migrants that Italy rejected, Conte said. "Europe can't go on coping on migration on an emergency footing," he said. 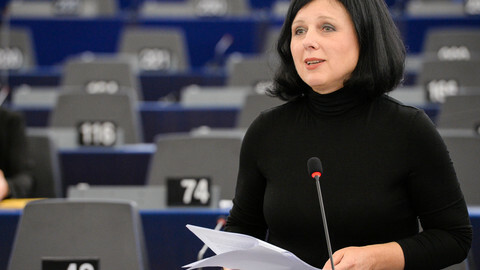 The Greens group in the EP and the EU parliament president joined the backlash to his words. "You're turning migrants into the scapegoats of all the ills Italy has to face", Philippe Lamberts, the Belgian leader of the Greens group, said. The EP president, Antonio Tajani, a fellow Italian, told Conte he was "not a supporter of the [Italian] government". But Salvini, Italy's far-right deputy prime minister, and Conte's so-called "puppet" master, also joined the Strasbourg punch-up via social media. MEPs, whom he called "European bureaucrats", had "insulted" not just the Italian prime minister but the Italian nation as a whole, Salvini said on Twitter. "The European elites [were] against the choices of the peoples," he added in a subsequent statement, echoing Conte's anti-EU vocabulary. "Prepare the crates. On May 26, the people will finally send these folks packing," Salvini added, referring to the upcoming EP elections, in which his League is polling to boost its number of MEPs from six to almost 30.